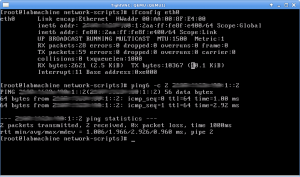 BrainDeadTip, Cisco, GNS3, IPv6, KVM, Linux, Virtualization, What?! I was hoping to have time to further familiarize myself with IPv6 this weekend – but workplace emergencies, sleep, and a technical glitch slowed me down. Here’s the story of the technical glitch. 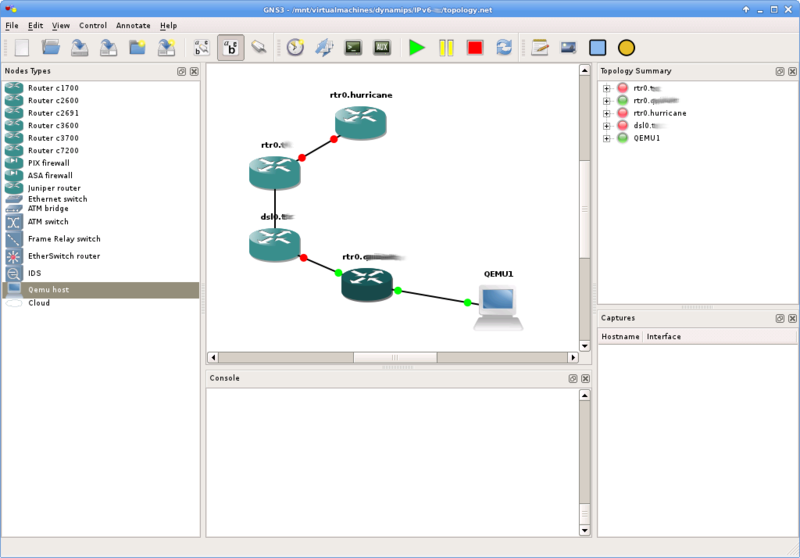 GNS3 - this thing rocks. GNS3/dynamips can handle emulation of a number of routers, and I was happy to see that it can emulate host PCs as well. 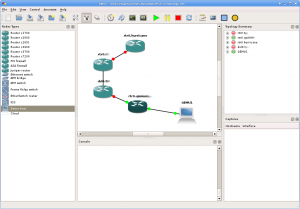 Unfortunately networking in GNS3 is done via UDP tunnels – something that requires a Qemu patch to implement. For some reason QEMU won't really start if it's networked. In Gentoo, simply building GNS3 from the Sunrise Overlay doesn’t provide sufficient support for this requirement. Emulated routers (and I’m assuming switches) work fine when networked together. Emulated host machines work fine when NOT connected to anything. But once you network things together you’ll discover that your Qemu host won’t start. Nope, it’s not. So the next step is to remove app-emulation/qemu-kvm from your system and build it by hand. Unpack and patch it, using the patch provided by the gns-3 team . Hunk #1 FAILED at 25. Hunk #1 FAILED at 567. Hunk #2 FAILED at 1075. Hunk #1 FAILED at 996. Next up – continue lab work with IPv6, and begin studying for my CCNP. 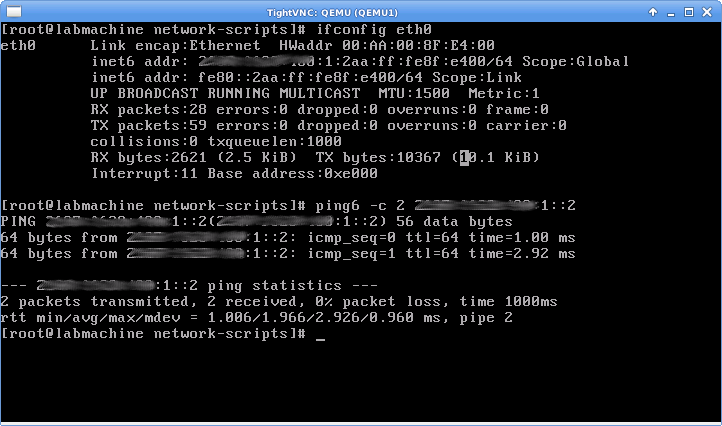 Previous PostPacket Creation for IPv6Next PostStop the bleeding!